Today's subject for the Knitting and Crochet Blog Week, is to think about the way in which we are inspired to make what we make, so I thought I'd share with you how I tend to design projects. Unless I have something very specific in mind to make I usually just start with a theme and search out some inspiration. As I established yesterday I was a in the House of Bee, I thought I would use that as a starting off point to hunt out some inspiration. I tend to use Pinterest a lot along with a google image search, I'll start with a key word and then I tend to go off in tangents from there. When I started searching out inspiration, I had no idea what-so-ever of what I might actually create, but by the time I had finished I had a good idea of a design forming in my mind. 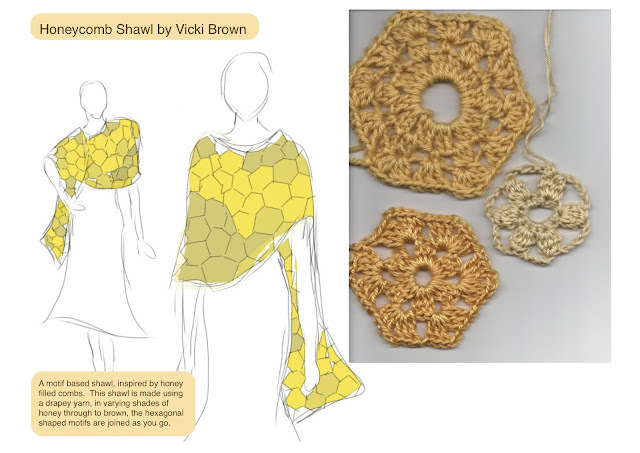 Honeycomb was something that really stood out for me, I love the knitted hexagons in honey colours I found, and imagined a really lovely shawl, made from crochet hexagons, in similar honey colours. Looking at actual honeycomb and the colours in it was really interesting, and lots of ideas of how to work colour into the hexagons started to develop. From here I tend to take to the drawing board, as I'm not a particularly skilled artist, I use Sketch Book on my iPad and trace over an image of a figure to get my outline, from there I add all my design features. For a shawl of course there isn't much you really need to see of the garment on the person and in any part of a design, one of the most important features is of course a swatch. Unfortunately I didn't have anything quite as gorgeously honey coloured as the yarns featured in my mood board (found in Baby Long Legs shop), if I was doing this as a submission for a magazine, I would probably search out the perfect yarns first, so that I knew I would be able to find the perfect colours and get hold of them for the swatch, as colour is such a vital part of this project. I swatched a couple of ideas before I settled on a final idea, wet blocked in a lovely alpaca or super soft merino/cashmere blend, this motif, joined to lots of others to make the shawl, will make a beautifully drapey piece. Here is my final design page, if I were sending this as an actual submission to a magazine, I would add a lot more detail about my thoughts for the design, the yarn to use and of course my contact details. I would also have settled on a final motif design and created a larger swatch, blocked and looking gorgeous to replace to 3 different swatches I have included in this page. This was all just a practice in exploring the way I find inspiration and create a design, but I have fallen quite in love with the idea of this honeycomb shawl, if I can find the right yarn, I'm thinking I will almost certainly turn this idea into a reality. 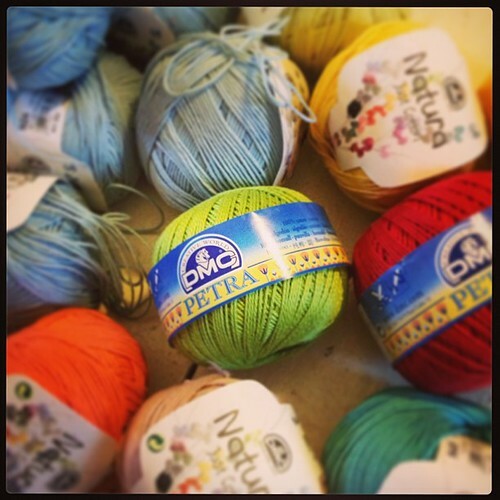 Day 1 of knitting and crochet blog week is here! Today we choose our houses. I was fairly sure of it already, but the mr has confirmed it for me, I am in the house of bee, and judging by the results over on the Eskimimi Makes blog I'm in the majority. One of the best things that's come of my new designing career actually (despite getting to spend my days doing something I love) is that I have to finish projects, which is very good for me. I always have at least 3 or 4 projects on the go at the moment, one will accompany me wherever I go, just in case I get a few spare minutes, to add a row, or even just a couple of stitches. 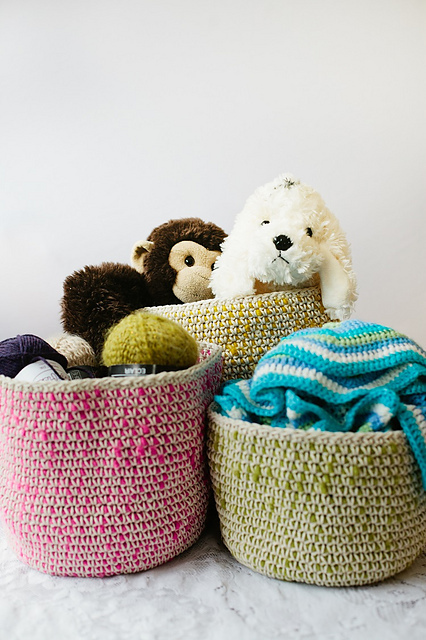 I like to get projects done quickly, I'd rather spend 2 whole days non stop crocheting on a project to get it done quickly, than I would doing a little at a time over a long period. 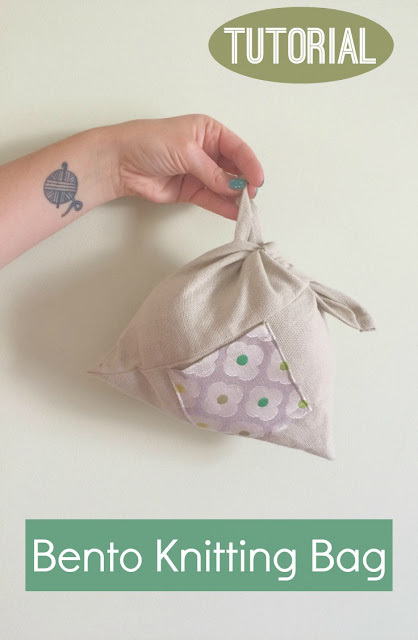 I also love quick easy projects, for that same instant gratification feeling. Though don't get me wrong I also love a challenge and to learn new techniques. I'm a strong believer that in knitting and crochet, you just need to be brave enough to give it a go, and you'll likely surprise yourself with what you can achieve. 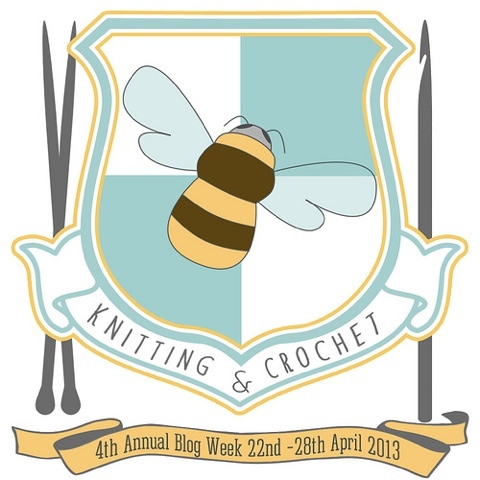 Really excited about playing along with this again this year, if you fancy taking part, hop on over the Eskimimi Makes blogs to see all the details. I have had my first design published in Simply Crochet this month, this new magazine comes from the same publisher as Mollie Makes, Simply Knitting, The Simple Things as well as many others and is as beautifully put together as you would expect if you've ever come across any of their other publications. 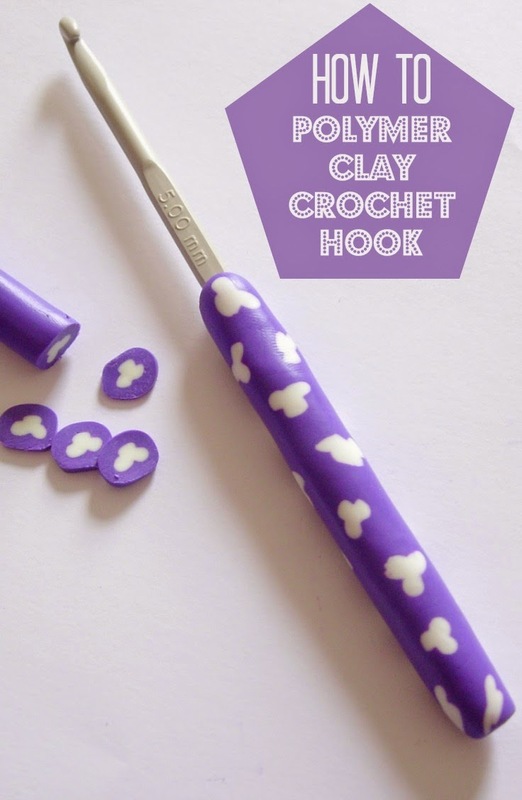 I think it's particularly good for newbies or those with less experience (or just the impatient among us) as it's a great source for simple, quick projects and bursting with ideas and inspiration. My first design (though not my last) for them is this simple tunisian purse, designed especially for their 'What is...' section which introduces a new technique each month. 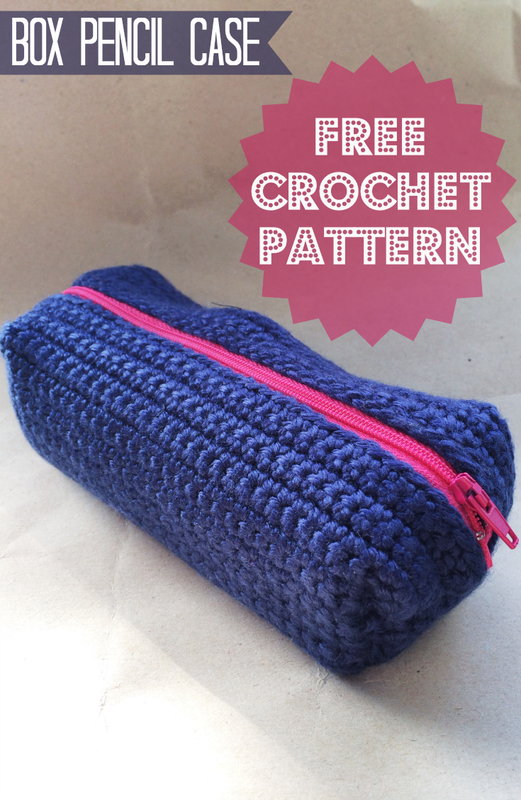 I love tunisian crochet and this purse is a perfect introduction to it. 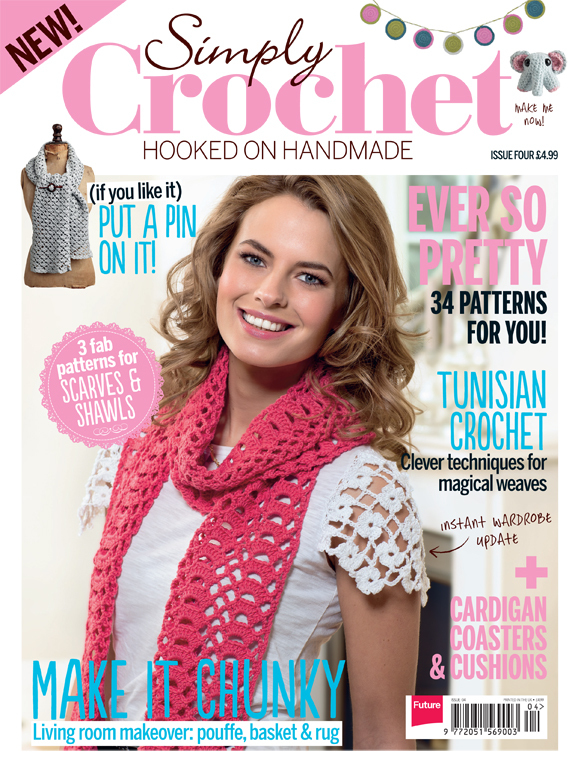 If you haven't come across tunisian crochet before, hunt down this issue for some great instructions on how to get started. 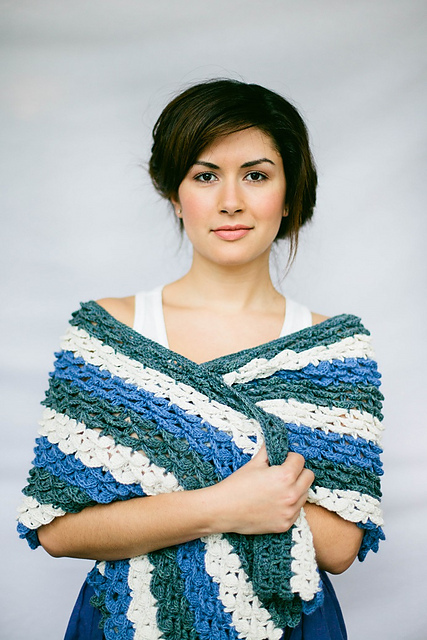 You should also check out the super talented Amy Depew who designs the most amazing tunisian crochet patterns. So my little boy turned 4 on Sunday. We're big birthday celebrators here, and why not eh? It only happens once a year, and for that reason I feel you need to spend as much time as possible over the days before and after the big event doing so. 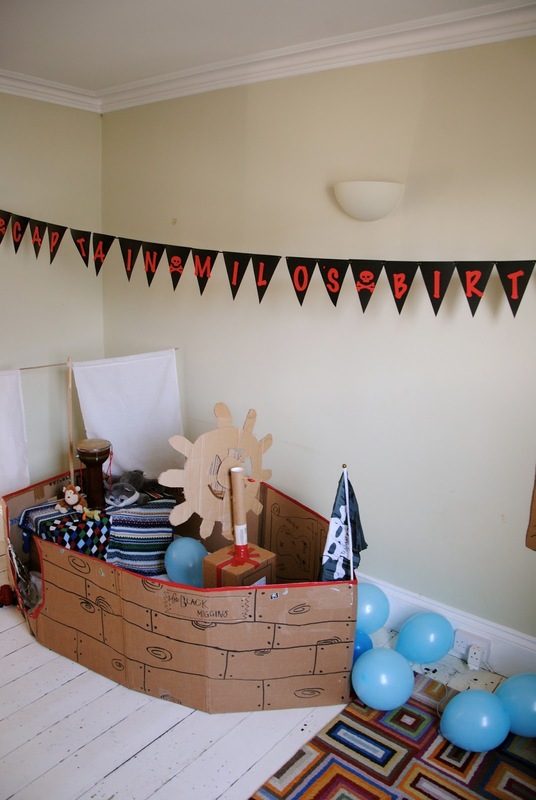 My Lego obsessed (accessed as he says) boy, wanted of course a lego themed birthday, only we kind of did that already last year, so as we've recently been reading Peter Pan, I managed to persuade him a pirate lego party was the way to go. 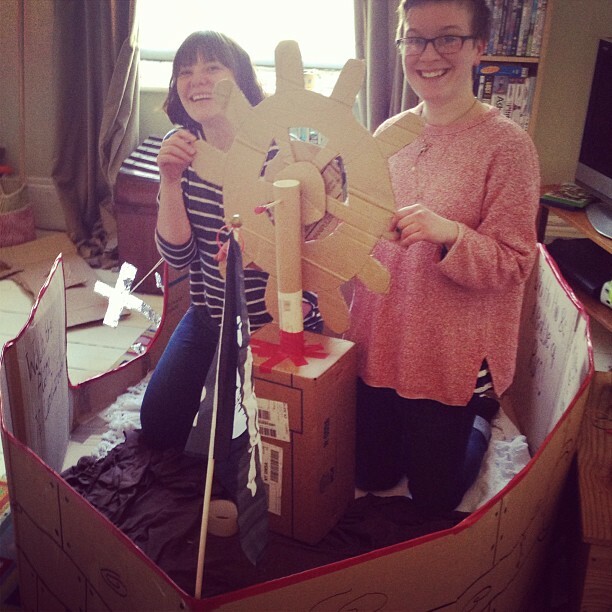 and un-photographed (due to having too much fun!) 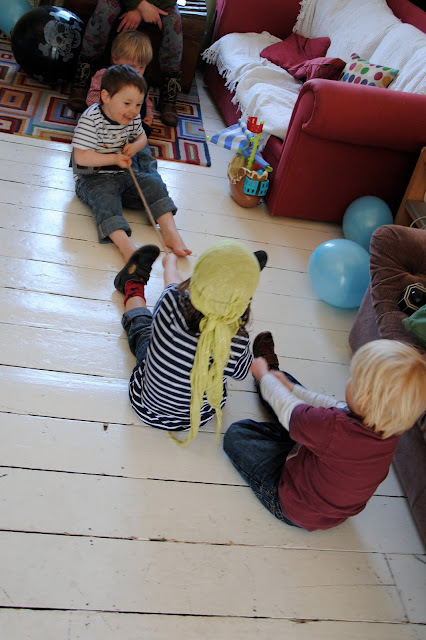 a game of stairs snakes and ladders and pass the parcel. 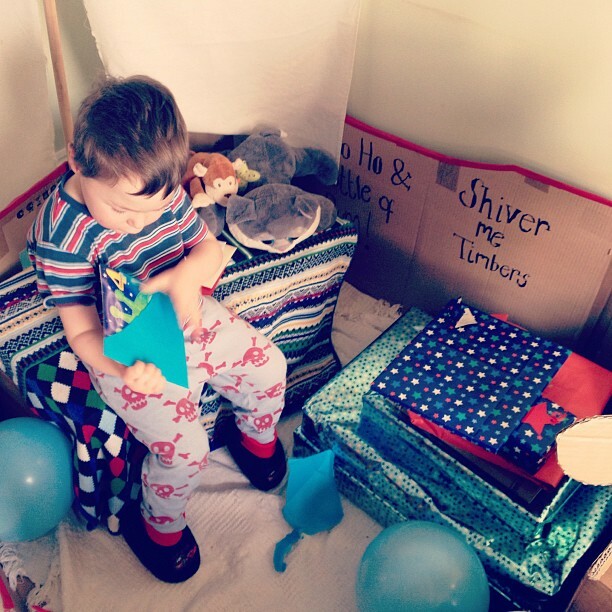 Many friends raided their dressing up boxes and treasure chests to supply us with some fantastic decorations and my lovely sister made Milo a super special birthday banner. On the day of his actual birthday we did the usual gift opening and pancake breakfast, before spending the rest of day building lego, only stopping for a lunch date at Jamie's with more friends. 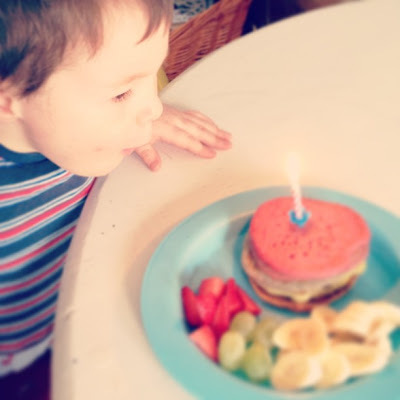 It's times like these I really how blessed we really are, not only to have spent 4 fabulous years with this awesome boy but also to be surrounded by so many wonderful folks to celebrate this life with us. 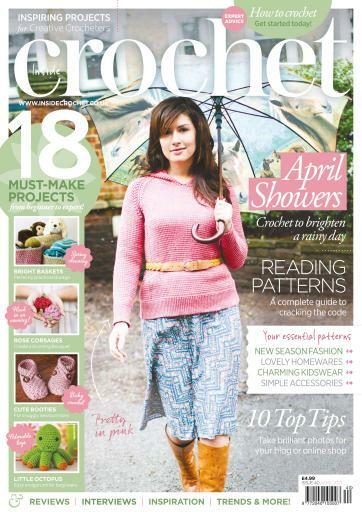 Issue 40 of Inside Crochet went on sale just in time for the Easter Holidays and as usual it is packed full of gorgeous makes and fabulous articles. 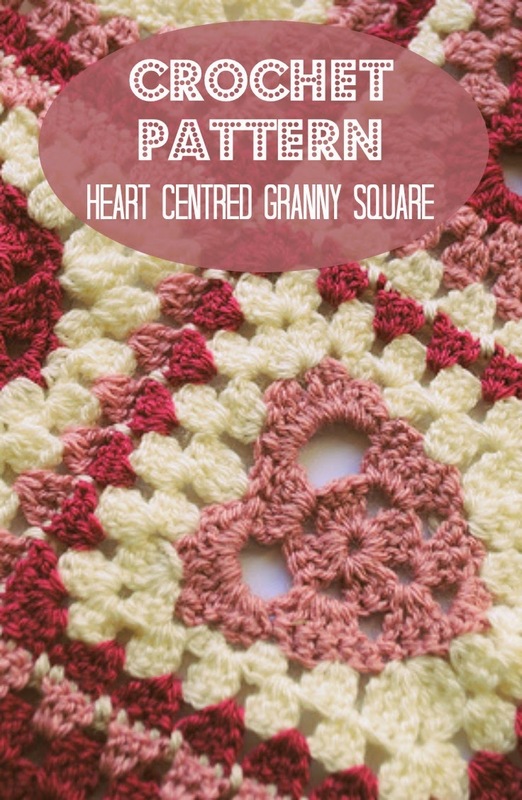 You can also find 2 patterns by my within the pages this month. Made by working parcel string, double crochet, around super chunky brightly coloured yarn. The samples have already been put to good use in my house, storing lego (though this wasn't my original intention for them, everything in my house seems to be consumed by lego these days!). 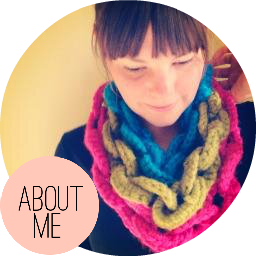 I adore this shawl and have been wearing it lots! It can double as a scarf and the yarn is so incredibly delicious I could happily wear it all the time! 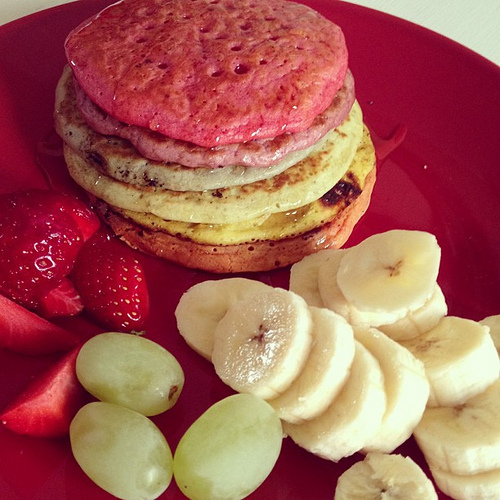 I know that I have been a particularly absent blogger of late, I really do intend to be better, promise.